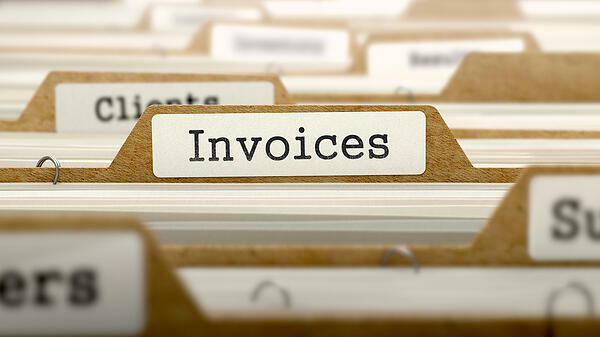 Creating an invoice for the entire project seems like it is the simplest way to track payments and have the current balance. The harsh reality is that if all of the work is NOT done, accounts receivable is reflecting a balance due that is NOT REAL. Without proper tracking and matching of income and expenses, most construction companies never know if they made a profit until the job is over. However, due to your work’s nature, as construction contractors provide services on a per-job operation, issuing invoices make it all the more challenging and difficult than it has to be. The good news is that it doesn't have to stay that way. 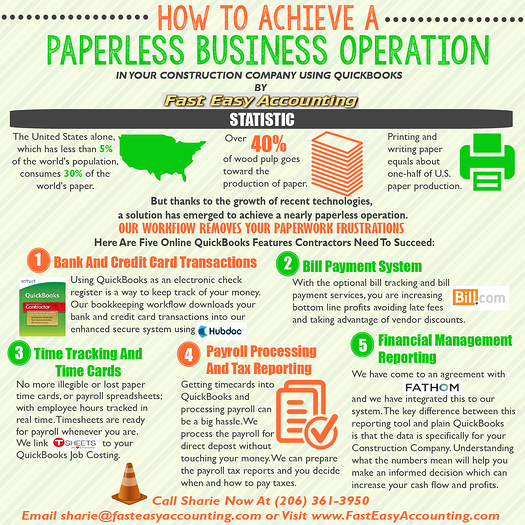 Consider the following invoicing errors contractors make and take actionable steps on how to avert them. You and your entire staff need to stick to a single standard invoice template that everyone will use throughout the job transaction. Not only will this make your paperwork look professional, having a uniform appearance gives your company credibility and integrity. Your client will appreciate how clear and straightforward it is to understand and check the payment details. A confused client will ask more questions that could’ve been avoided if accounts are itemized and charges are explained. Terms and conditions of payment should be discussed before starting a project. When a system is in place, it seems effortless to remind a client regarding prompt disbursement of money. Whether you incentivize with discounts for early payment or penalize for paying late, it all starts with formal documentation as agreed upon by both parties. Relying on good faith alone won’t pay your bills especially when you’ve completed your service on time. Knowing when and where to send the invoice is an essential part of the procedure that changes with each job you take. Eliminate any confusion right from the start by taking note of the payment terms you’ve made, the company name, department, or contact information you are directing your invoices to. Failure to back up and save copies of invoices invites trouble and disaster. Maintaining an accurate and up-to-date record of issued and paid bills will keep you from stress in the future. Use a numbering system to track and manage your invoices efficiently, this will save you time when you need it in case of customer disputes, pending accounts, and sending duplicates. Human error, though inevitable, could at least be avoided in this case. Take time to develop specific rules and documentation for you and your employees to follow when invoicing a client. Investing a few hours learning accounting software is never a bad idea. You can start by asking your construction accountant to provide you and your crew with training and best practices so that everyone can deliver paperwork in accordance to your company’s standard. As a reminder, billing your clients is dependent upon your signed contract and sending invoices is based on the details of this agreement. Preventing these errors will undoubtedly help in speeding up the process of you getting paid and more so, getting paid on time. If you don’t know what to do or how to start, I recommend our Contractor Bookkeeping Review and Consultation with Randal. It is one of the most sought out services we provide and have helped many small construction business owners across the United States. 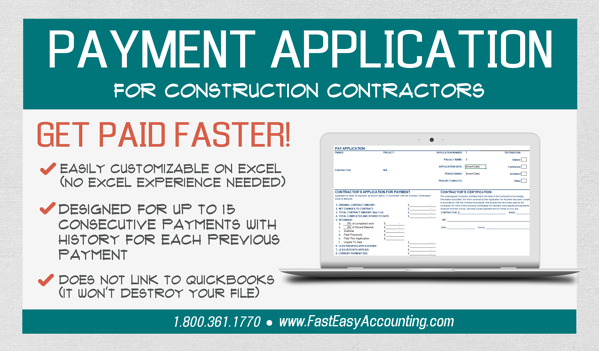 To help with invoicing, Contractor Payment Application is also available in our store. Follow our blogs, listen to Contractor Success M.A.P. Podcast. We Appreciate Our Visitors, Listeners, and Subscribers. – Thank You!! We are here to Help “A Little or A Lot” depending on your needs.